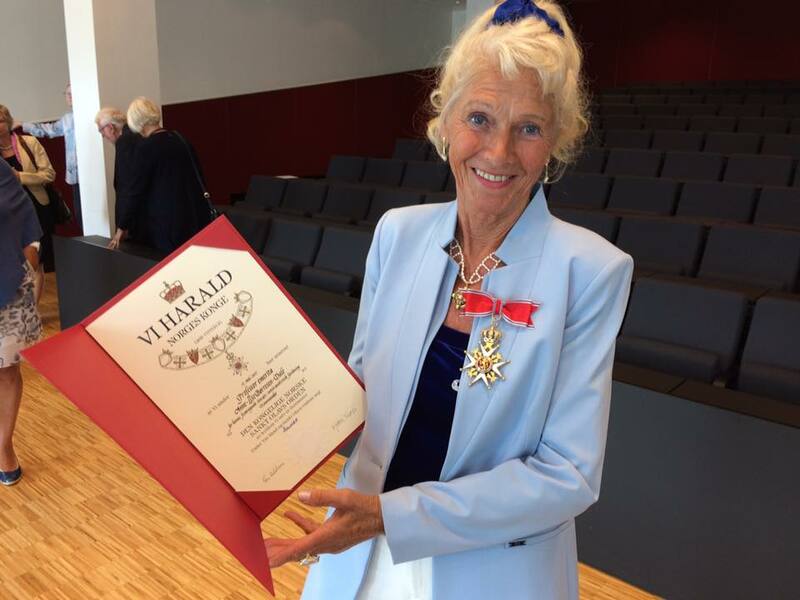 His Majesty The King has appointed Professor Emerita Anne-Lise Børresen-Dale as Commander of the Royal Norwegian St. Olavs Order for her outstanding efforts in medical research. The decoration was be presented at an event in the Research Building at Radium Hospital in Oslo August 28. It was a touched and proud newly-elected Commander who received the certificate and solemn words from Chancellor Mette Tverli from the Royal Court, and greetings from colleagues and collaborators. Børresen-Dale (71) has worked with medical research, with a special focus on breast cancer research throughout her professional life. "She is an international star in cancer research. Her work has benefited us all, "said Bjørn Erikstein, CEO at OUS, and congratulated on the appointment.